The Portuguese eliminated Villarreal with a double and prolonged a streak that began in early March. It's a goal to equal last year. The best Gonçalo Guedes is back. The Portuguese has been plugged in the decisive stretch, just when Valencia will fight for two titles and fight for a Champions League place in the league. Your injury is forgotten and the Luso has been a magical month. 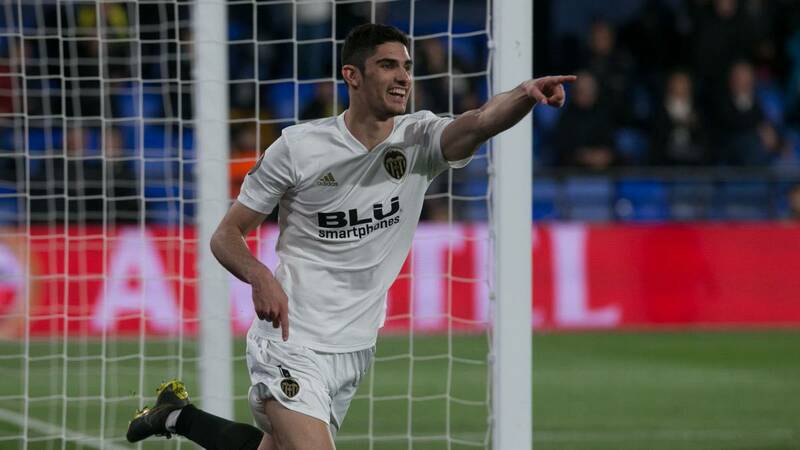 Guedes settled Villarreal with a great double that set the pace for Valencia to the semifinals of the Europa League. However, the Portuguese has been at a good level for many weeks and with a fine focus. In fact, he has scored five goals in just 31 days. He opened on March 10 against Girona and on Thursday he closed his best month as a Valencian, scoring his fifth goal. In between, he saw a goal against Krasnodar, with another key goal that was worth qualifying for quarters in Europe, and also left his mark against Madrid. Guedes is only one goal to equal his best numbers in terms of effectiveness. Portuguese made six goals last year and this year already has five. And that injuries have slowed him several times. The average goalscorer of Guedes has improved a lot compared to last year. In the previous campaign he scored one goal every 448 minutes played. This season sees door every 330 minutes.